If you don’t follow our social media or are apart of the discord server, you may have missed this announcement about the future of Installation 01 after the announcement of Halo: The Master Chief Collection coming to PC. If you haven’t yet had the chance to read this, this may answer many of your questions. As all of you are fully aware at this point, Halo MCC is coming to PC. 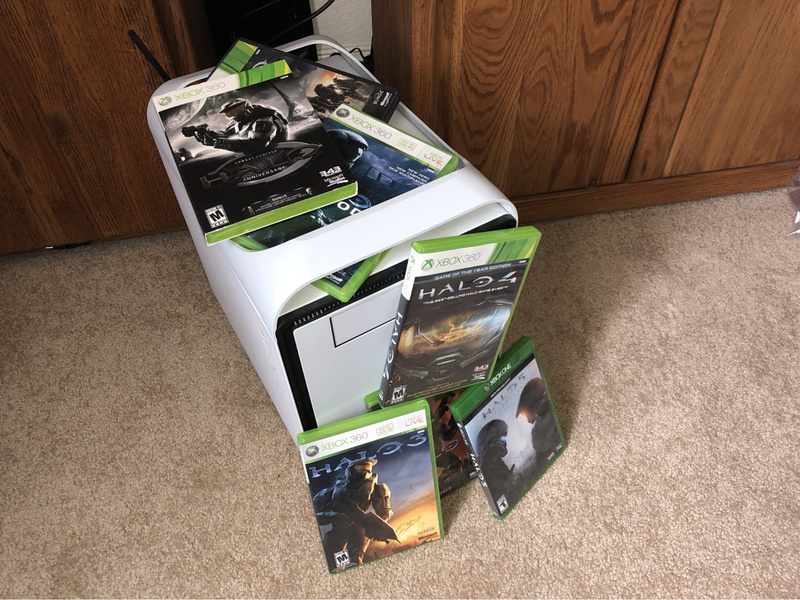 This has lead a lot of you to question “Where does this leave fan projects like Installation 01, and others?” It’s a good question I hope to answer for you today. Our goal with Installation 01 was never to be a replacement to any of the old games, nor was it to ever be any of the old games. We always wanted to bring something new to the table, we’re quite fond of the phrase “A new classic experience.” This holds true today, just as it did before. While yes, we are just another multiplayer arena shooter in the Halo universe, we’re not really like any of them in particular. We have the ability and desire to do things that have never been seen before. Experiment with new ideas, and get the community involved in making all of them. As some of you may already know, our Alpha plan is to develop the game alongside you, almost as an early access model, but done right. We’ll have incremental releases, patches, balance changes, all made with your feedback. This is as much your game, as it is ours. Once we have the core gameplay loop in place, we are in an incredibly unique situation where we can break free from the confines of what Halo is, and look towards what it could be through more fun ideas that have never been explored before. So, how does this affect i01? In short, it doesn't. So long as you want to play a new “classic” experience with never before seen games modes, weapons, and more we have our place in that lineup just as we did before this announcement. We’ll keep going as long as you all are there to support us. One more thing... now that we can talk about it we can let you all know that a couple of us on the team have been in the know about MCC coming to PC for months now and are working with 343 Industries in an advisory role. As stated above, this does not affect our development on Installation 01 in any way, and we will continue as planned bringing something entirely new to the table. We know we wouldn't have this opportunity if it wasn't for all of you, so please just know that our goal working with 343i is to make sure we support everything that the community wants. Thank you for the continued support, and we can't wait to tell you more. This is one of the more recognizable brute weaponry that we only got a short taste of previously. 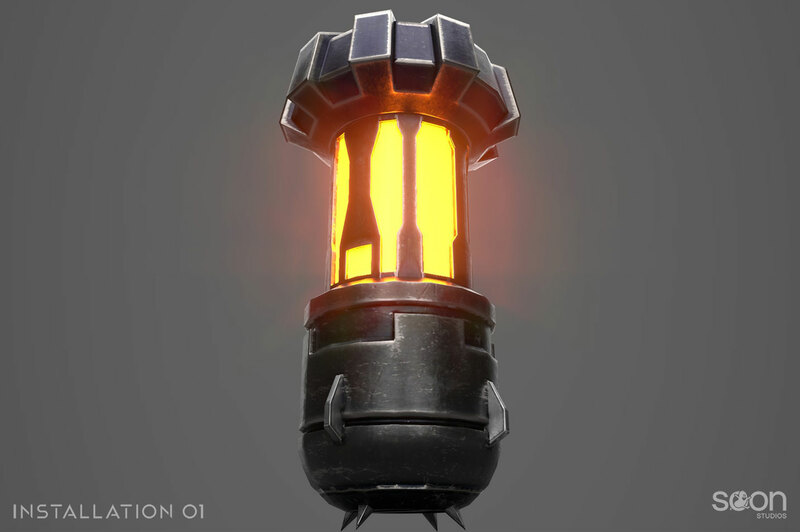 This is the Incendiary grenade, packed to the brim with flaming hot chemicals that are sure to leave your enemies “well done.” This model has been well textured to be used on the field of combat, but has that distinct glow to capture your attention so you can make your enemies feel the heat of war. While I wouldn’t recommend playing around with this, it may be useful for our camping gear theme we had going on there for a bit with our previous updates. Just throw this bad boy into a fire pit and you got yourself an instant campfire. 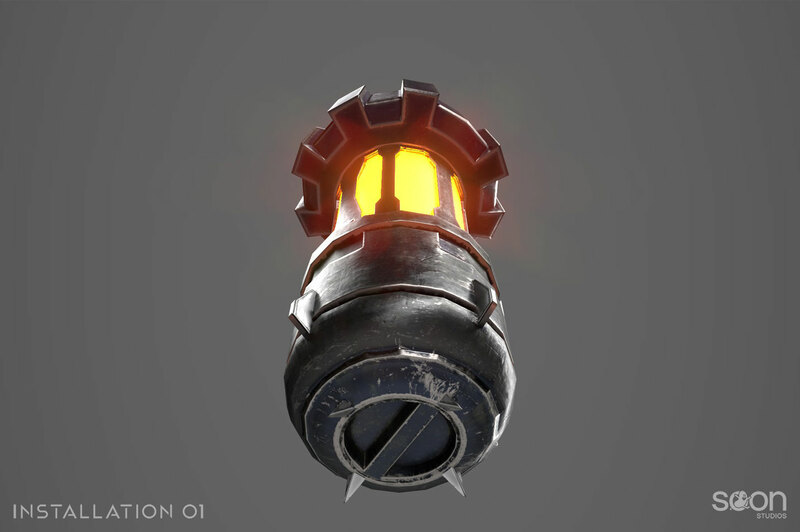 This is actually the fourth type of grenade that will be featured in i01. It will be accompanied by the frag grenade, plasma grenade, and spike grenade. From this angle, you can see the bottom side of the bomb, which has seen some wear and tear before being in your hands. Not too surprising based on the tribal ways of the brutes who carried these things before you got a hold of it. This model really is “Da Bomb” isn’t it? It was handcrafted with blood, sweat, and tears by our talented modeler Kendall. He killed it here, so you can kill your enemies with it out there. We actually have an awesome piece below on how grenades are actually coded into the game! 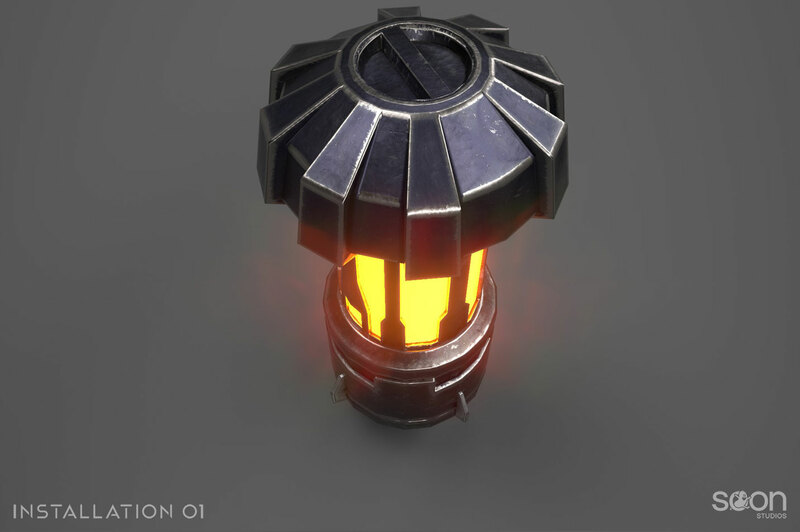 I sat down with one of our programmers, Perlind, to ask him how he made grenades actually function in the game, and while technical, it may be super interesting for some of you guys! Perlind initially noted that one of the problems, when using the Unity engine and implementing grenades, was the fact that it was originally using a less than ideal method that did not provide the proper physics required for a grenade type object. It would be hard to control the true physics of how the grenade interacted with the world around it, which is important for frag grenades that have a bounce to them. With that roadblock, he went ahead to try to find a new method of handling grenades in the Unity engine. He ended up deciding on using a method called “Spherecasting” for collision detection which freed up the physics from the “monobehaviour” that the previous iteration of the grenades. As you can see in the gif below, you can see an initial look into a spherecast collision detection. So what does that actually mean for you, the player, in-game? Well, it means that when you throw a grenade, it will bounce as you’d expect it to, then slowly come to a stop and explode. We can tweak it much easier and provide each grenade the proper feeling, which should mean you have the best experience when you go to throw that frag grenade around the corner. The end result will look something similar to this. 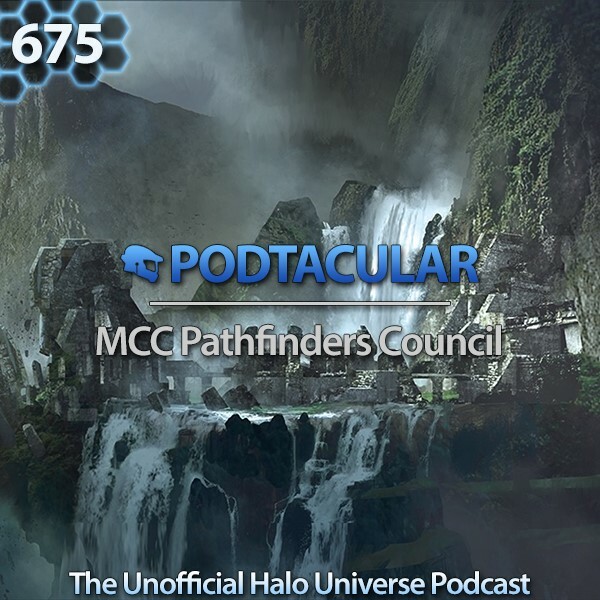 For the most recent episode of Podtacular, Bean and Tosh joined other members of the Halo fan community to discuss MCC on PC and what the community should expect to see with it. This includes discussing changes that need to make the Halo platform work on PC. I bet that m of you will recognize the other names from the community on this episode. To listen to the full episode and to see who the other guests are, click the link below. It’s easy to sit around and just be a bystander in life, but it’s not nearly as cool as being an i01 developer! So why not join the Bean Team to help bring Installation 01 to the world! We are looking for QA Testers, Networking Programmers, VFX Artists, Lighting Artists, Sound Designers, Animators, Concept Artists, and 3D Artists. Well, I have to say, congrats to bean for expanding his presence into a piece of art in downtown Chicago. 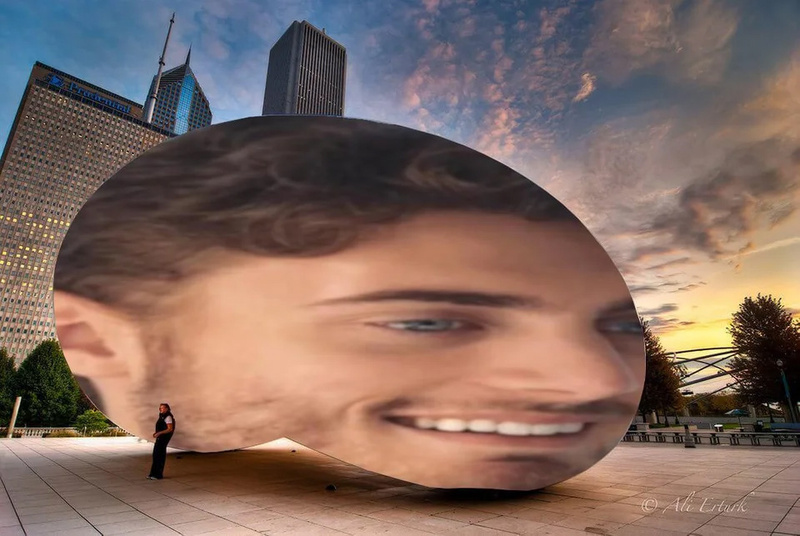 This is an awfully big bean, but we’re hoping you guys get a chance to go and visit it in person! Can anyone in Chicago confirm that it is still there and hasn’t been removed by Chicago PD? The Havok engine really treated fire well if it was coded properly. L4D 1&2 both use Havok for their physics and I think that includes fire spread and it's just brilliantly made. Ayyy, my Bean got featured! One comment I had on the grenade physics, is that they don't quite behave like a weighted object would. As of right now, they behave more like a light bouncy ball than an explosive hunk of steel. The grenade should bounce less and roll more. &#x200B; I don't mean to be harsh on you guys, you're doing a great job. But I did want to put some constructive criticism out there. Thanks for the feedback, we're still working on tuning them to handle realistically. Cheers!